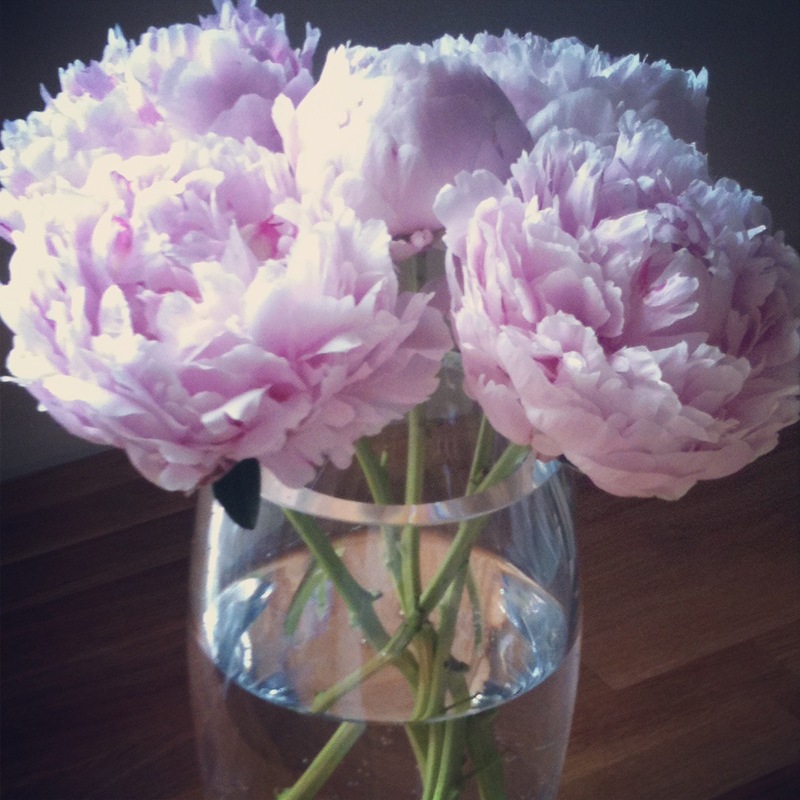 Peonies are my favorite flowers for so many reasons: their fat, multi-petaled blooms, papery texture and perfume-y fragrance. I really wanted peonies in my bridal bouquet but the florist said they might not be available by mid-April. I was so excited when she phoned and said she’d be able to get a few pink ones in time for our wedding. I splurged on a bouquet of pink blooms last week and love the way they pretty up the kitchen and make me smile every time I walk into the room. This entry was posted in Style and tagged arrangement, arrangments, beauty, bouquet, bridal, bride, fashion, floral, florist, flower, flowers, frangrance, home, nature, peonies, peony, perfume, pink, plants, style, wedding by lovewritenow. Bookmark the permalink.